Sight and plate combined. It does look like the one you have pictured. Maybe they used up all the old plates before they started using the exposed screw plates? My build was 01/04/2019. And for those that asked, I obtained mine from Proven Outfitters, and it was a long wait at my local store although the website showed them in stock since about November for some reason. I prefer the shorter Carry models for a duty pistol. I think they balance a bit better and allow for a shorter holster which makes it more comfortable when sitting for me. The full size models feel heavier towards the front IMO, especially when you add a WML to them. What WML will you use with your Carry version in order to keep the overall length short? I don't use a WML on my pistols, previous experience in LE, long story. I use a separate small hand held light. If I did use a WML though, I would probably look at the TLR7 because of its size. I have shot numerous pistols with WML both longer and shorter, and shorter ones feel better balanced, at least to me. So apparently they have three versions of the Pro Series. The full size ones my dealer has also have a full length dust cover, not the shorter version like yours. I think the shorter dust cover looks better, personally. It is interesting about your sight plate. Does it have a slight curve on the front of the plate, or is it flat across? The curved one is the DPP cut, the flat one is the Romeo 1 cut, like the X carry. They had to mill the slides differently for the different plates. Your version has holes for the screws drilled all the way through so the screws mount to the plate from the bottom. On mine, the holes are drilled and tapped from the top and the holes do not go all the way through. It has the slight curve. I would post a pic, but I don't yet have the permissions. Then it is cut for the DPP and Romeo 1 Pro. 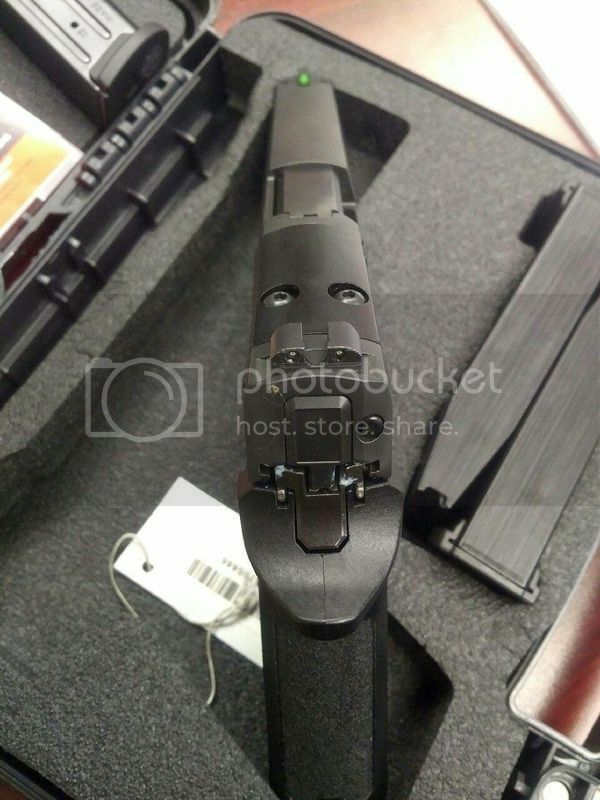 Yours is using the same rear sight plate as the M17. I suspect yours also has the loaded chamber indicator tab on top as well like the M17. I have a couple of emails out to some folks at Sig that should be able to give me some details. My agency is also hosting an armors school soon and I will hit those guys up and see what the 411 is. FYI: Just found out the version you have is the Professional MilSpec Version. It is pro series with the M17 sight plate, and shortened dust cover al'la M17. So that is a third version. 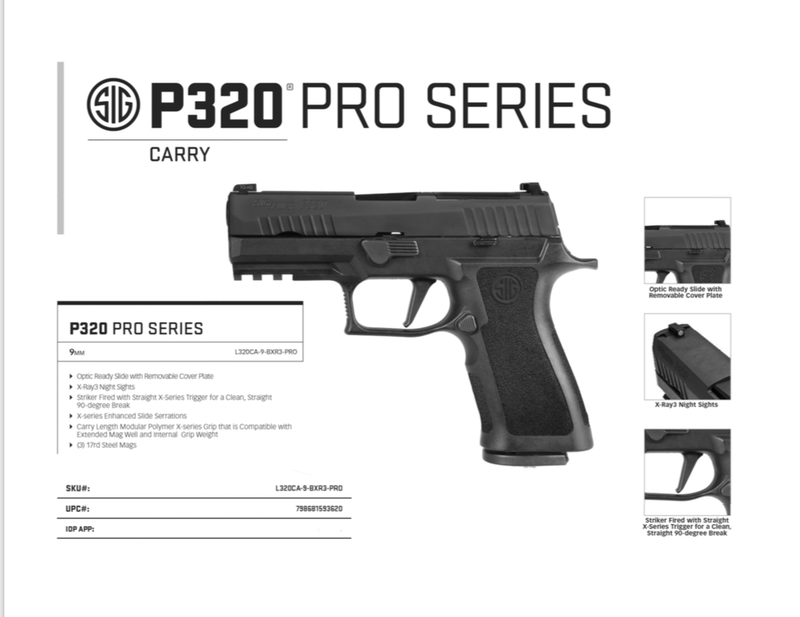 There may actually be four versions of the Pro series, a carry version that uses the rear sight plate without the lightening cut in the slide, but there ins't confirmation on this. The LDC in the sku number denotes the long dust cover version, with the same slide as mine. that is the third version. I was previously given incorrect information and here is what was confirmed to me today. So I wonder what L320XF-9-BXR3-LDC-PRO means as far as SKUs go? The only difference between this and the pic above is the "X" in the first group of characters. That clears it up for me. I didn't realize that they released X Fives without the cuts, but knowing that, I get it now. Thanks! Not sure, the only place I have seen the Sku# was sticksandstones, but the picture they have posted for that sku is the one I posted above. Looks like a typo on their part, as they also have the same spec sheet I posted above, and the sku number is the same on both sheets, it doesn't have the X in the first sequence of numbers. First impression, I like it. Now if the weather cooperates, I can get out and shoot it. So there is two versions on the full size pro versions, like yours, and the LDC version with the full length dust cover. I like short dust cover version like your much better. It does have the loaded chamber indicator. I'm going to guess it was manufactured as part of a large organization order, and they made extras to fulfill some back orders of the MIL/LE type? I did consider that it was part of the original MIL/LE guns so no PRO designation, but it was just made. Regardless, I think I do like the short dust cover version better, though, which is unlike me. Yeah there could be others, the ones I listed above came from Sig's IOP list and are all listed Pro. 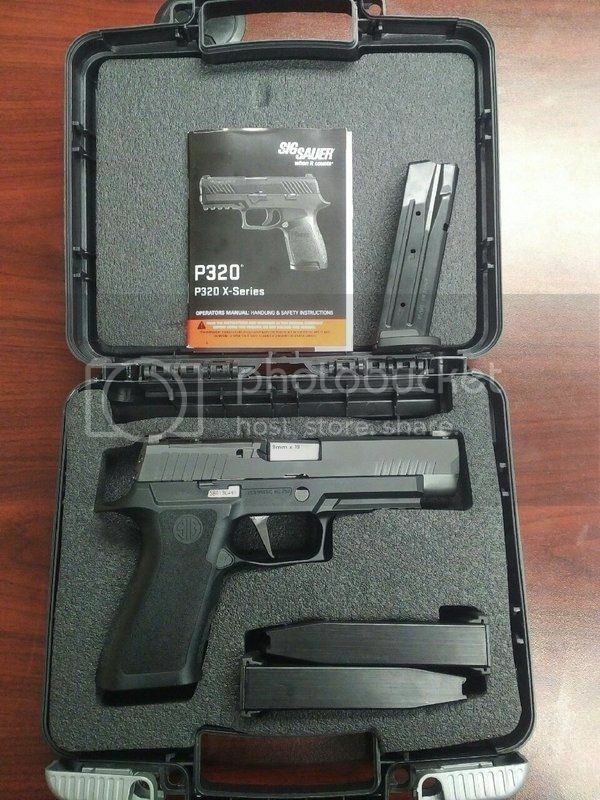 Incidently, none of the P320's on this list start with W in the SKU, all start with L.
Incidently, none of the P320's on this list start with W in the SKU, all start with L.
Hmmm, could it be W for "whiner?" I say that because I started getting a bit antsy the last month or so because it was taking so long.